i Still write: Free Stuff (giveaways) from Pen Chalet..
Special coupon on Fountain Pen Day for use on ALL items. Check back on Friday, November 7th, 2014 for the coupon. Special discounts on select items. We will have special discounted pricing on select pens and inks for one day only. Check back on Fountain Pen Day, Friday, November 7th 2014. Enter your email in our "Special Offers" at the top of this page or enter the giveaway to the right to receive notification of the Fountain Pen Day Deals. 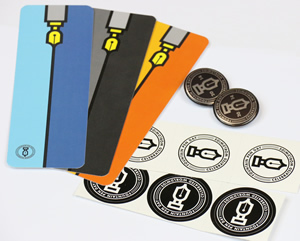 Some of the items we will be giving away with each order include Fountain Pen Day bookmarks, stickers and pins.